The SUV will be loaded with Hyundai’s BlueLink connectivity interface, an AI-powered interface with important safety features such as speed alert, geofencing, panic buttons and ‘share destination’ to ensure the safety of the passengers in case of a distress situation. The BlueLink connectivity interface has been developed with 33 features out of which 10 are specific to the Indian market. The Venue will have an SOS, RSA (Road Side Assistance) and BlueLink button on the inside rear-view mirror (IRVM) for easy access to the car passengers. It is also fitted with a cloud-based voice recognition system, which will be powered by Vodafone Idea network eSIM. This assists in getting real-time traffic updates and live local search. It will also include a sunroof, climate control and a large touchscreen infotainment system with Android Auto and Apple CarPlay. The car will be available with three engine variants; a 1.0-litre turbocharged petrol engine with automatic transmission, a 1.2-litre petrol engine with manual transmission and a 1.4-litre diesel engine with manual transmission. The pricing of the Venue is expected to start from Rs 6.5 lakh and will go up to Rs 10 lakh for the top-spec (all prices, ex-showroom). Once launched, it will go up against the Mahindra XUV300, Ford Ecosport and the Maruti Suzuki Vitara Brezza. 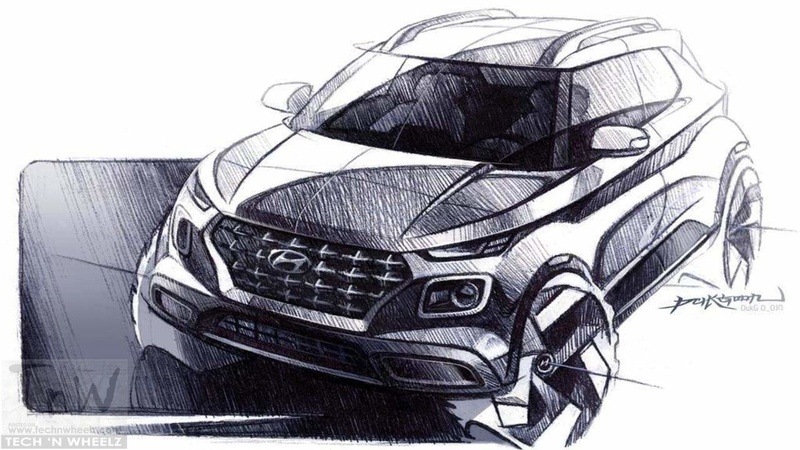 Hyundai will hold a special preview for the Indian market on April 17, 2019, following which there would be a global unveil at the New York International Auto Show, scheduled from April 19-29, 2019.